While I don't consider myself a feng shui expert, I am a fan of the art and have blogged about it here and here before. What is feng shui? Feng shui is the Chinese art or practice of creating harmonious surroundings that enhance the balance of yin and yang, as in arranging furniture or determining the siting of a house. Now I know a number of people might think this is a bunch of mumbo jumbo, but to each their own. 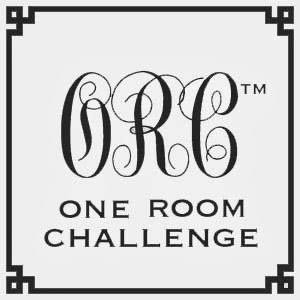 I designed my bedroom using feng shui elements with the help of feng shui expert and author, Jayme Barrett for the one room challenge and I can tell you from experience that there is validity to the art. 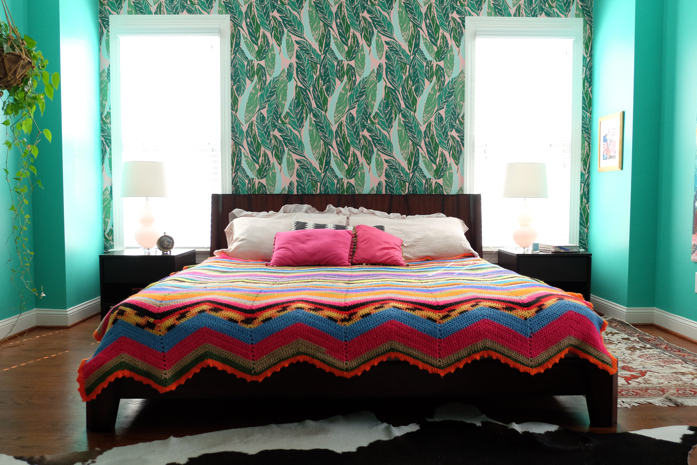 So, how feng shui friendly is your bedroom? That first pic above is a great example for one of the feng shui elements recommended for the bedroom which is your bed should be grounded by a wall or a great headboard to provide protection while you sleep. It is recommended that we use headboards that are solid and made of wood. 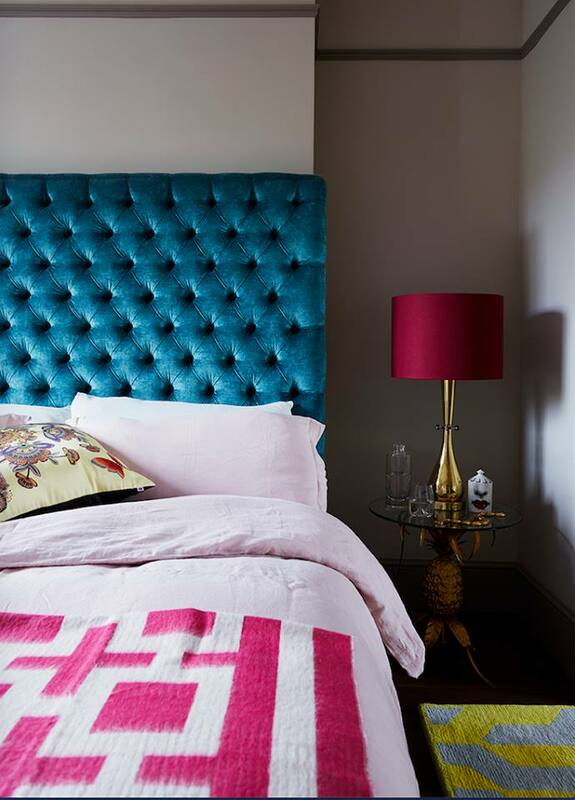 In addition, an upholstered headboard offers an extra layer of protection and support while softening edges. In my own bedroom pictured above, if you look closely, there are a couple of feng shui elements that are incorporated; balancing items is important so two nightstands on either side of the bed is great and also allowing equal space on either side of the bed helps to facilitate the flow of chi around the room. To maintain a healthy relationship, make sure you have cleared clutter, place items in pairs to evoke the energy of a couple (two candles, two lamps, two photos etc). Bed Placement. Once I styled my bedroom for a shoot and had placed the bed right in front of the doors as seen above. That is a big no no in feng shui. It is recommended that the bed be positioned as far from any door as possible. It’s also important that the bed not be in alignment with any door (bedroom, bathroom, or closet), or too much chi will flow toward the bed. This position is called the coffin or dead man position because when you lie down, your feet or head are facing the door. This is symbolic of how the dead are carried from the house through open doors. Yikes! So let's all try to avoid the corpse position if we can! In fact, I slept with this bed placement a few nights and could tell the difference. I didn't feel at ease at all versus when I sleep with the bed placement like in the pic shown above this one. If you must place the bed across from the bathroom door, hang a mirror on the inside of the door facing the bathroom. This reflects any negative energy back into the bathroom. Keep the door closed at all times. Although the door should be visible from the bed so you can see who enters your room, try not to position your bed so the door opens right into it or you're looking through the open doorway when you're in bed. Mirror mirror on the wall or not... Feng shui experts would rather you not have mirrors in the bedrooms as their energy can disrupt your sleep and invite infidelity. This can be a bit tricky though, don't you think? I don't currently have a mirror in our bedroom but it's not because of feng shui, but because I don't think I have the space for the one I want. I do have a mirror in our guest bedroom though. However, not to worry, experts say if you do place a mirror or mirrors in your bedroom, just try not to have them directly opposite your bed as that type of placement can lead to bad dreams. Plants in the bedroom. This is probably the one feng shui rule I struggle with most. One of these pics above was taken from a recent plants in the bedroom post and as you can see, I love to have plants in the bedroom. 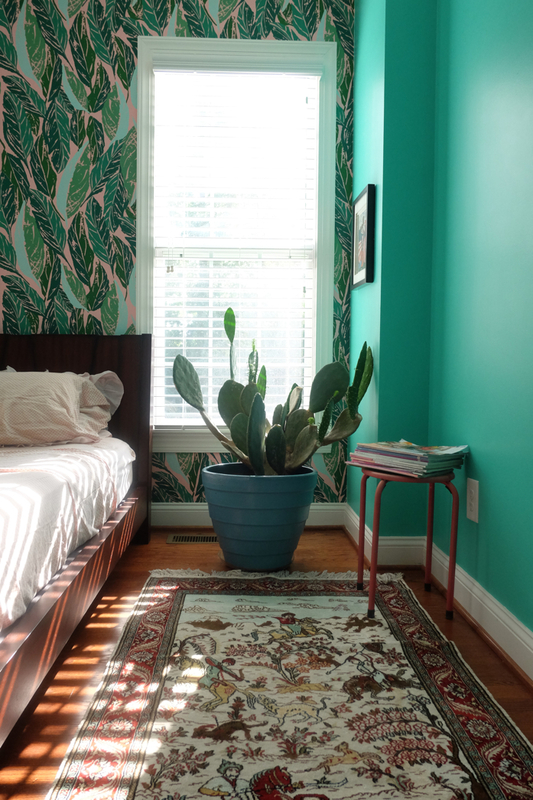 There is a bit of controversy about whether plants are allowed in the bedroom or not. 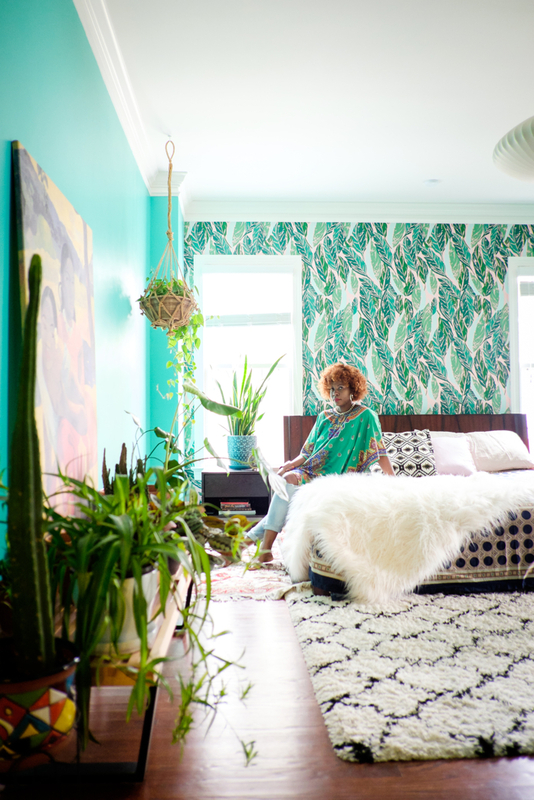 Some feng shui experts say no plants because they produce yang energy that disrupts sleep and the carbon dioxide they give off at night may further add to sleepless nights. 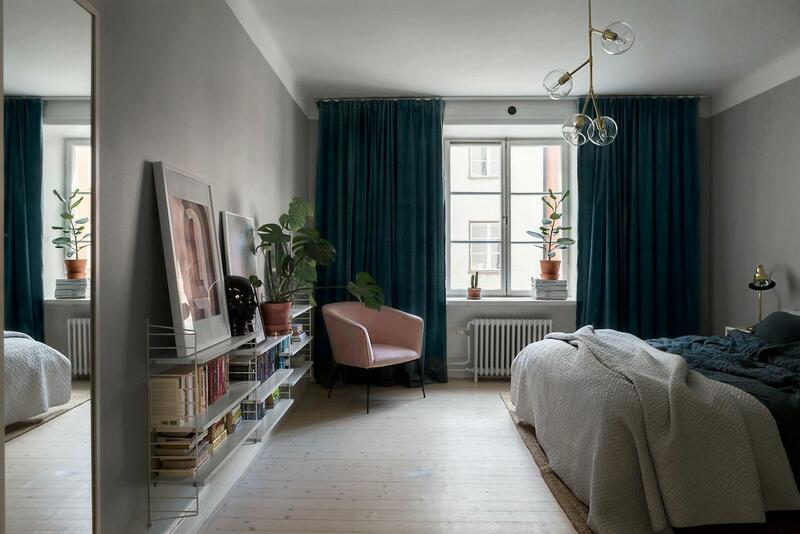 Others say if your bedroom is big enough and plants are placed away from the bed, it's o.k. to have them, just not too many plants to overwhelm. It would take at least 3 posts to cover everything but these tips are a great starting point to creating a feng shui friendly bedroom. Great one! Thanks for sharing! I have learned something here, Stacey. I don't know why, but I never thought of Feng Shui as being colorful! Your bedroom is absolutely gorgeous! And in seeing it, I can now understand that harmonious surroundings can also be beautifully colorful too!! You have a wonderful weekend, sweet friend.